Have you ever over stuffed yourself at dinner just because your mother forced you to eat an extra chapatti or an extra spoon full of rice? Admit it we all have been through this, just because our mom’s never want to waste any food, yeah mothers are great but what about your stomach it is not good to over-stuff especially at dinner, so should we just throw away the extra food, I say no don’t waste, do not throw, if possible give it to someone or else just try the below method to turn your leftover food from dinner to tasty morning breakfasts dishes. There can be almost anything which can be a leftover from last night dinner because someone tried to skip the meal and didn’t inform before. But here we will discuss about three food only i.e. Rice, Dal, and Chapatti. Rice is a versatile grain we can make any sweet or savory dish from it. 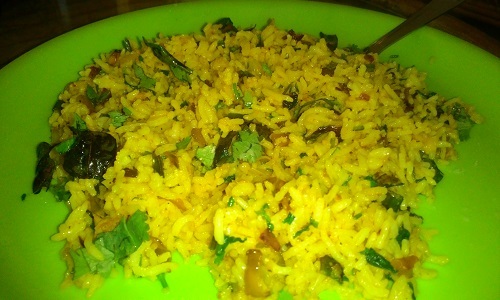 As I said rice is a versatile grain, you just have to add ingredients of your choice to make fried rice or pulao. Heat oil in a pan, give tadka (tempering) with curry leaves, cumin seed or mustard seed. Add chopped green chilies and sliced onion and fry till golden brown. Add chopped tomatoes, you can also add any vegetables like green peas or even ground nut can be added. Now add the leftover rice and fry it for five minutes so that it is mixed properly. Adjust the seasoning by adding salt, red chili powder and turmeric. Serve hot after garnishing it with chopped coriander leaves. Heat oil in a pan, add finely chopped ginger and garlic. Add chopped beans, carrot and shredded cabbage to the oil. You can also add fried egg, chicken, etc. Once the vegetables are done add soy sauce and vinegar. 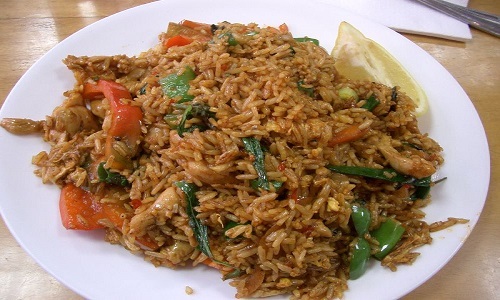 Cook for 2 minutes and add the rice stir the rice properly so that the sauce is mixed with the rice. Adjust seasoning by adding salt, pepper, soy sauce and vinegar and MSG (optional). A sweet dish for morning breakfast after the savory food is always a healthy habit. To make this you just have to have milk, cardamom powder, cashew nut, pistachio and sugar. Heat the milk in a casserole and bring it to boil. Once the milk is boiling add the cardamom powder and the cashew nu. 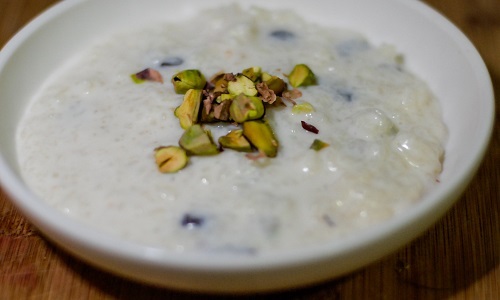 After the cardamom powder id infused in the milk add the rice and the sugar and simmer the kheer. Cook on a low flame so that the milk is reduced and the pudding becomes thick. Garnish with chopped pistachio refrigerate it, serve at room temperature or cold or hot. 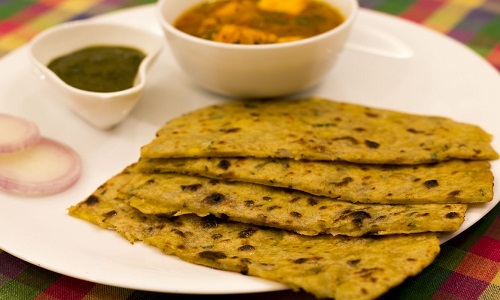 Chapatti or Fulka is an Indian bread which is served as an accompaniment along with main course, we can make a nice crispy morning breakfast from the last night’s leftover chapattis, which you can have with milk like cornflakes or have it as it is like a snack. Not the one found in Gujarat but somewhat similar. To make this you just have to roast the chapatti on the pan, roast till the chapatti becomes crisp and crunchy and try not to burn it. Apply butter, sprinkle sugar on it and enjoy this crispy delight. 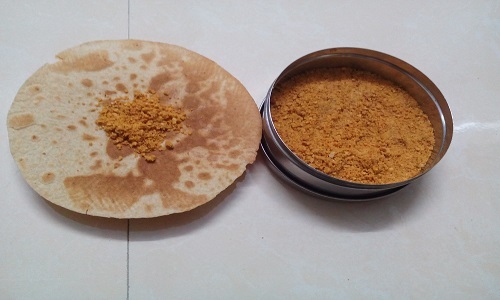 Break the chapatti in to very small parts and keep it in bowl. Now if you want to eat this with milk then simply crisp roast this in a pan by continuously stirring and without adding any oil, it will take some time but the final product will be crispy and crunchy. And if you don’t want to eat this with milk then take oil in a pan and temper it with mustard seed. Add the chapattis and crisp fry it, add salt, chili powder. Enjoy with tomato and coriander chutney. Dal is again a major accompaniment which is popular in Indian cuisine, there are various lentils of which dal is made. Now what to do with the leftover dal from last night dinner, below is one example of it. Make a dough using the leftover dal and flour, add little salt and sugar, chopped green chilies, chopped coriander, and chopped onion. Roll the dough by the rolling pin and plate and make a round chapatti. Enjoy with mint chutney or tomato chutney or simply any ketchup.